I got this shot 2 summers ago and I don't think I ever shared but even if I did it's long enough ago now. 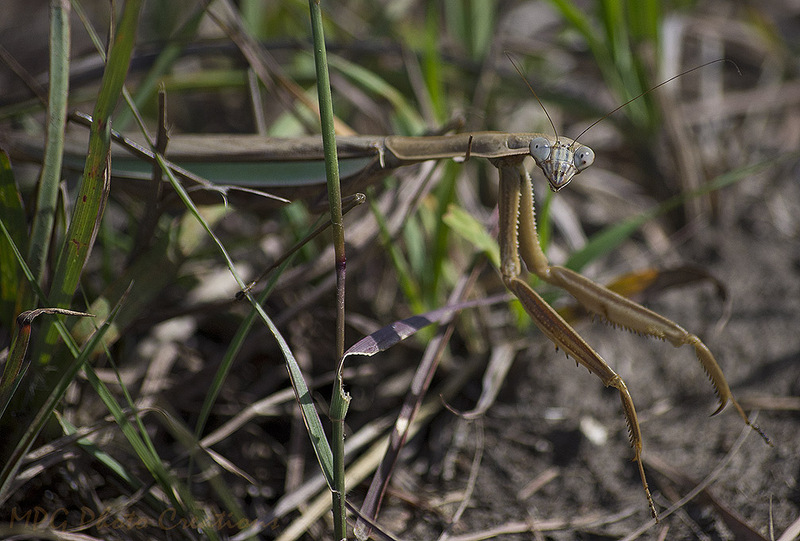 :-) I got this image of a quite large Praying Mantis alongside the trail at Konza Prairie on a walk one day. It had to be at least 6 inches long, I think it was even larger than that. Loved how it looked at me as I took it's photo.